Uber’s head of enterprise says the ridesharing app will triple its workforce for business customers this year. But the company faces many challenges, including a corporate culture that allegedly enabled a discriminatory work environment. Uber, like the smartphones and wireless networks that enable it, entered the enterprise market uninvited or at least unbeknownst to most levels of management. 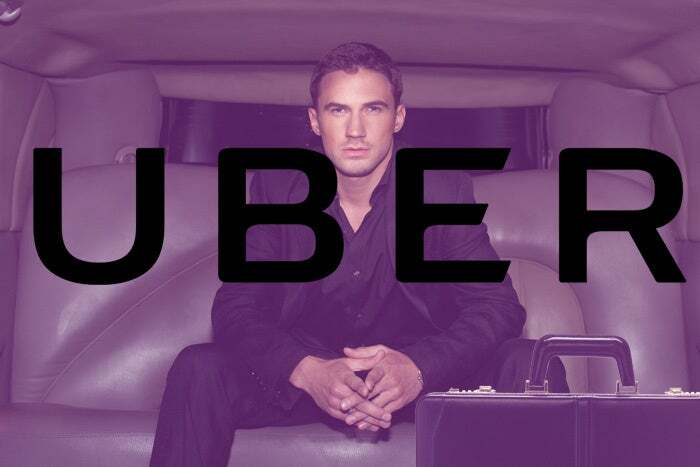 However, since late 2014 Uber has been developing more direct relationships through a specialized service for enterprises that assists companies with billing, reporting and management. The 8-year-old company is now the most expensed line item for business travel -- ahead of Starbucks -- and ground transportation accounts for half of all business expense line items overall, says Travis Bogard, Uber’s global head of enterprise. “Companies started using Uber a lot because employees started using Uber a lot,” he tells CIO.com. Uber for Business, which is currently in use by about 65,000 companies, is designed to let enterprises streamline billing, ensure accountability against travel policies and track spending more efficiently and automatically, Bogard says. On a cost basis, traditional bookkeeping for ground transportation services requires a “disproportionate amount of time for a relatively small amount of spend,” he says. Uber for Business, which carries a flat 10 percent fee on top of all Uber fares, is billed directly to customers on a monthly basis with granular details on all trips taken by employees. The service includes mechanisms for companies to enforce policies, allocate costs to specific projects or clients at the time of purchase and match expenses with accounting software via API integrations or manual file exports, depending on the sophistication of the customer’s systems. Uber for Business customers also have access to Uber Central, an interface that allows businesses like auto body shops or hotels to manage and track multiple rides for customers on a single device instead of spreading that responsibility across multiple phones. “Compared to even traditional taxis, given those 30-40 percent savings and then we’re adding only 10 percent back, you’re still saving a tremendous amount,” Bogard says. Uber claims that its customers pay an average of 30-40 percent less per ride than taxis. Jan Dawson, chief analyst and founder of tech research firm Jackdaw, says the tracking and expensing features of Uber for Business would have to be extensive to justify the additional cost. “Tracking and reimbursing the expenses associated with [ground transportation] is expensive and difficult, so centralizing cab expenditure through Uber or a competitor might be appealing for at least some businesses,” he says. Uber is also streamlining that category of expenses by offering direct billing to businesses rather than the end user, according to Dawson. Uber’s dominating position in the consumer ridesharing space should help rather than hurt the company as it tries to expand in the enterprise market, according to Dawson. “It’s a familiar brand, it has massive presence in many markets, and in many cases has become the generic term for a cab hailed from an app, which is a powerful position to be in,” he says. Despite those strengths, Uber’s corporate culture -- once lauded for being a fast-charging, fearless and quintessential example of Silicon Valley style entrepreneurialism -- has become a liability on many fronts. Scandals at Uber have recently morphed into what appear to be symptoms of a greater disease. Consider the problems that emerged during an eight-day stretch in February: a former engineer went public with revelations about alleged rampant discrimination and sexual harassment; Google filed a lawsuit against Uber, accusing the company of stealing proprietary technology used in its self-driving cars; and Uber’s senior vice president of engineering was forced to resign after he failed to disclose a sexual harassment allegation that precipitated his decision to leave Google after a 15-year career there. Investors have since spoken out against the company’s toxic work culture and multiple #DeleteUber campaigns have gained traction on social media. In response to these scandals and others, Uber hired Eric Holder, the former U.S. attorney general, to conduct an investigation of the workplace. Those findings have been delayed and are now expected to be presented to the company by the end of this month. Bogard admits that these problems routinely come up in conversation with Uber for Business customers, but that direct line of communication has been helpful because many companies approach it from a point of empathy. “Most of the companies we deal with have dealt with similar issues themselves, so they start from a place of ‘we understand, but are you doing the right thing?’” he says. That dynamic has also led to a more transparent and accountable Uber, according to Bogard. “We share best practices and learn from each other and get them comfortable that we’re doing things that a company should be doing in that situation,” he says.